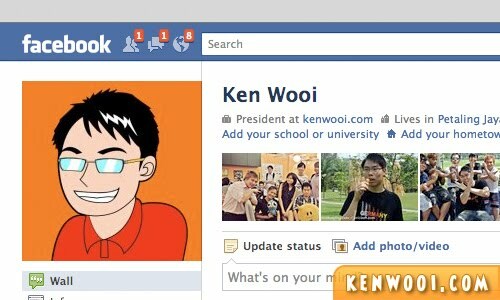 Facebook, without a doubt, is the most used social networking service worldwide. Almost everyone uses Facebook nowadays. The fact is, we are all Facebook addicts – in a way. 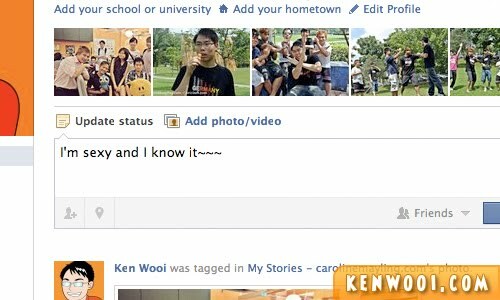 Wherever we go, Facebook is there no matter what. If you’ve something to do, there’s no harm surfing Facebook. 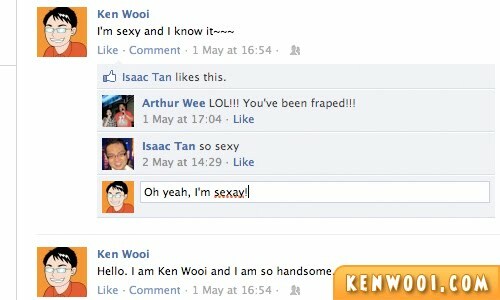 And when you’ve nothing to do, Facebook is the boredom relief. The thing is… things could be really fun on Facebook. So, how can you not use it right? 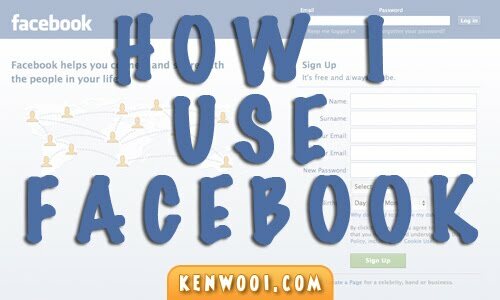 So today, ladies and gentlemen, I’m gonna expose to you… how I use Facebook. 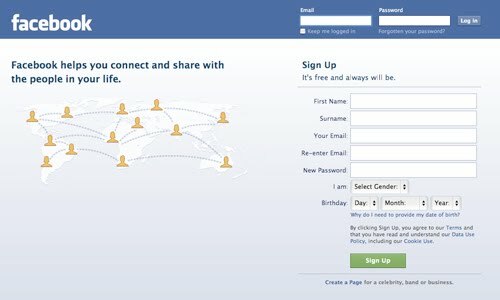 It starts by logging into my Facebook account. 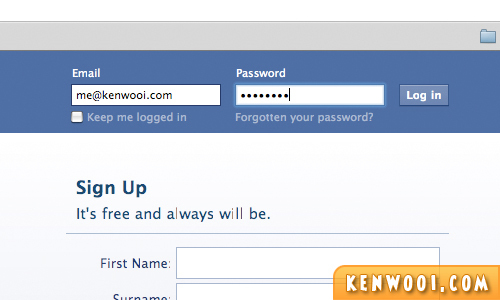 Enter the account email and password. Easy peasy. Once logged in, first thing to do is to check the new notifications. Friend requests, private messages and notifications – just click to see updates and what’s happening around. Then, write an interesting statement on my Facebook wall. After that, like a couple of status updates, links or any photos from friends. 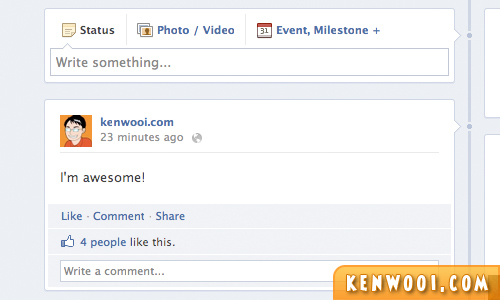 Whatever it is, just like it – Facebook style! When new notification comes in, reply to comments. If there’s extra time, check out friends’ birthdays and casually wish them as if I remembered. 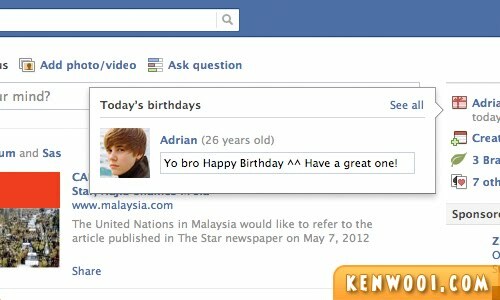 Adrian Bieber must be touched by my birthday wish. I’m such a great friend that I actually remembered and took that effort to wish him… on Facebook. Yay? I like that big lizard on the page cover. Rawr! Scroll down and read new comments, if there’s any. Okay no comments. Just some “likes”. I iz sad. 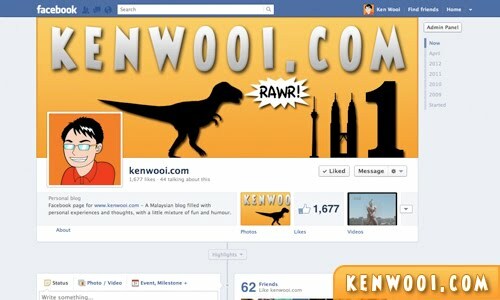 Then, update timeline with the latest blog entry from kenwooi.com. 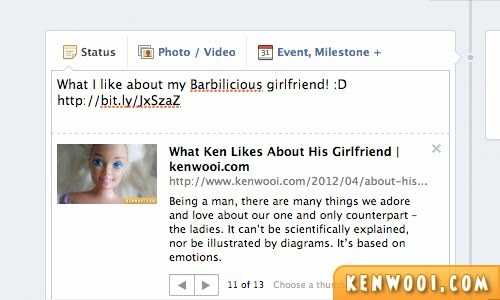 I’m always curious – let’s say… if I don’t update the Facebook page, will anyone even notice the new blog update? Anyway, once in a while… spot profiles of hot babes. Hey, spotted one! She’s cute, and oh wow… nice asset! 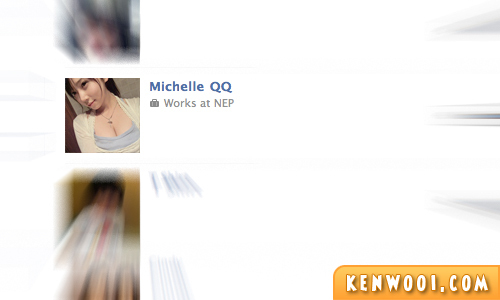 Michelle QQ, she is! Click on her name and check out her profile. Should I add her as friend first? No wait, that sounds desperate and not gentlemanly. Eh hold on, this is too much exposure on my Facebook activities! Oh no! I guess it’s enough already. 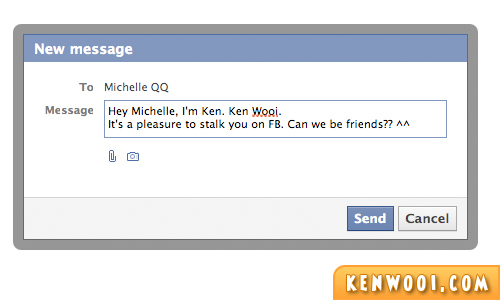 So, this is pretty much how I use Facebook. Kthxbai! Mum, You Know I Love You Right? What the heck did I just read… oh, cleavage! You more active in Twitter aren’t you? You’re a Facebook addict, are you? 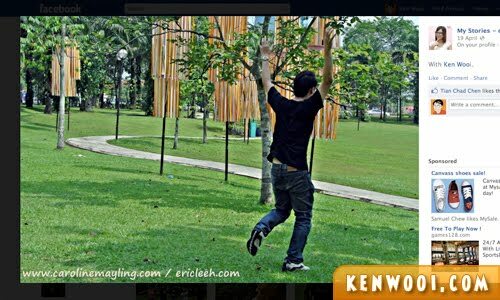 You missed out one – share video clips with friends, the one starring Ken Wooi… LOL!!! I am a facebook addict..
but due to work load i hardly FBing..
and now I enjoy writing my blog…..
didn’t you saw one of the picture on the hot babe’s profile? She was with other boy. So were you jealous? Just kidding. Not a fan of FB. Prefer Twitter anytime. Haha! !